A budget-friendly, complete mudjacking system. Fast! 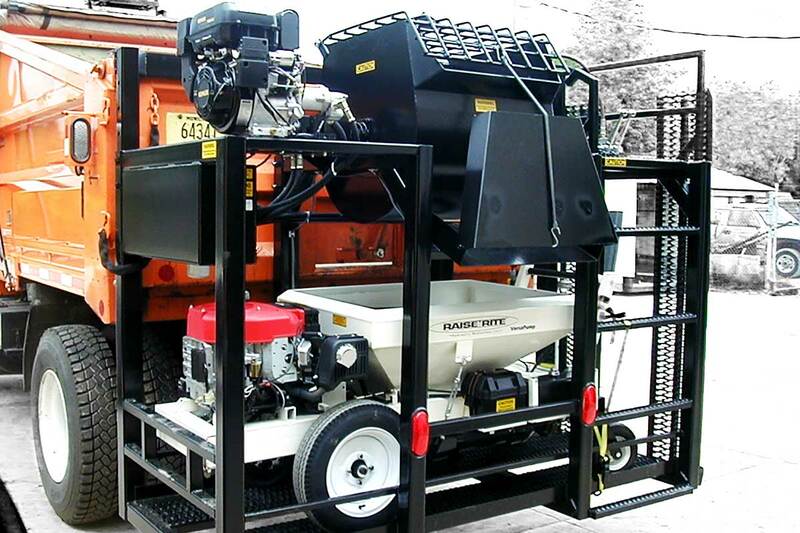 The HMI Mudjacking Rack System can be customized and fabricated to fit your dump truck, which provides you ease of storing and carrying your mixer and mudjacking pump. The convenience, ease of installation, and removal makes this system perfect if you are looking to add to your contracting business, and already have a truck! Interested in learning more about the HMI Mudjacking Rack System? Let us know! No trailer to tow. All your mudjacking equipment in one easy storage rack. 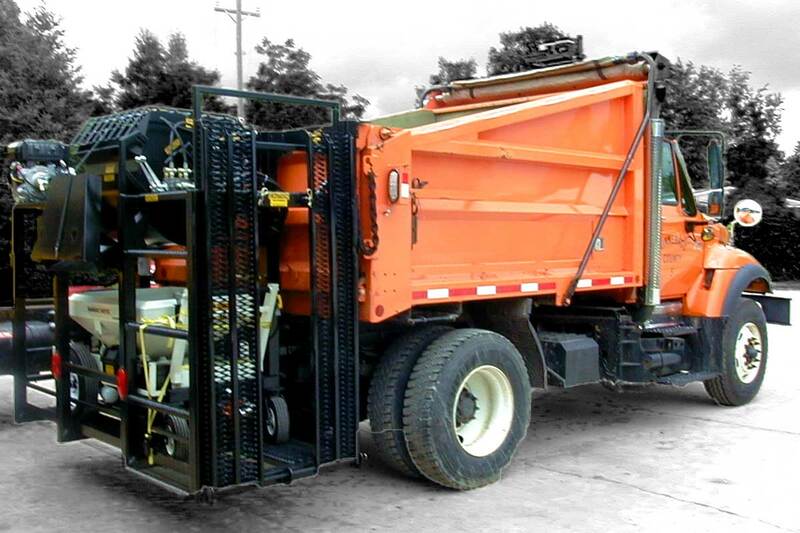 This unit has the mixer hopper designed and placed low enough that you can shovel material from your truck box for mixing virtually effortlessly! Save time unloading the grout mixture directly into your HMI mudpump with the mixer hoppers exclusive hydraulic dump.